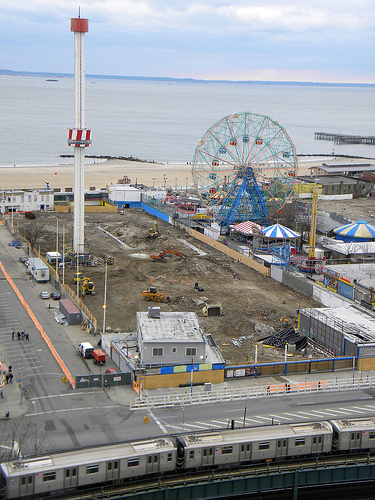 This weekend saw the opening of the first all-new amusement park in Coney Island since Astroland opened in 1962. That it was situated exactly where Astroland stood until 2 years ago added a feeling of unease for many of us. That said, you can’t stop progress, and when progress comes in the form of the newest, coolest, shiniest amusement rides you’ve ever seen, and when they attract record crowds and make everyone feel good about Coney Island again after last year’s thematic interpretation of Cormac McCarthy’s The Road, well, you can’t complain either. the cleared Astroland lot around February. 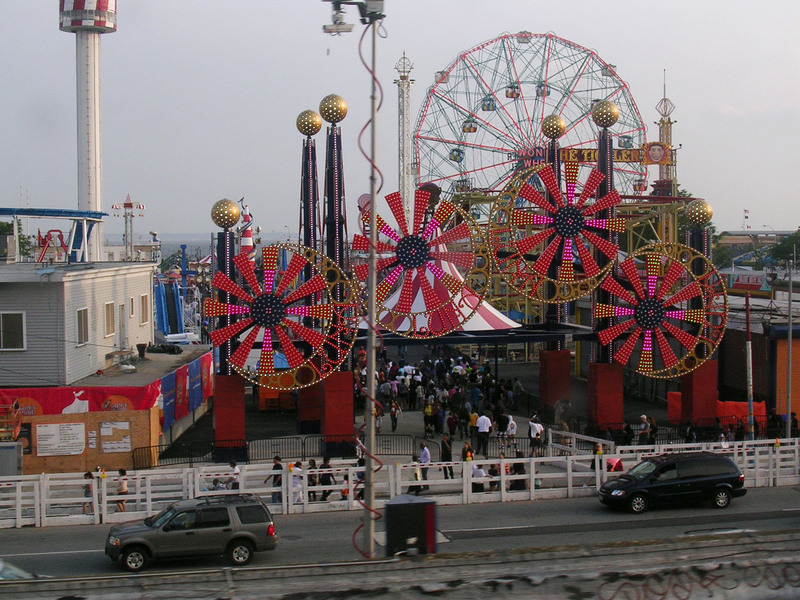 The pinwheel designs are a near recreation of the original Luna Park's grand entrance, a block west on Surf Avenue. The local Brooklyn newspaper group published an article about my film and the benefit event. Check it out.